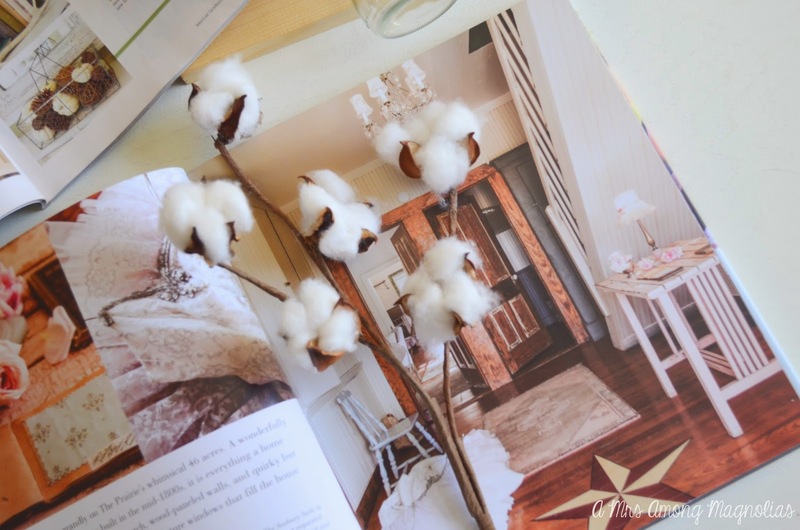 Inspiration in one of the keys to decorating a room. If you don't know what you want your space to look like or how you want it to function, then how will you decorate your space! 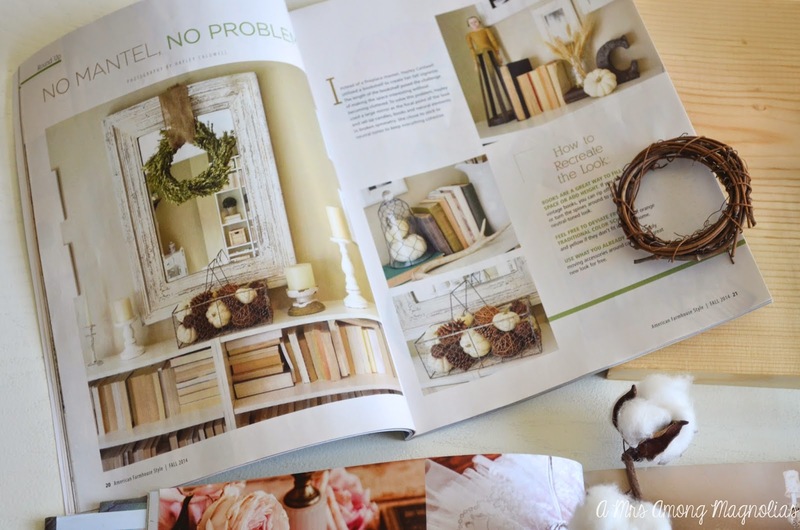 I draw inspiration from Pinterest, magazines and books! I use these pictures as a jumping off point, I don't want to make my home look exactly like the pictures I see, but I want to use some of the elements and mix them up to go with my space. 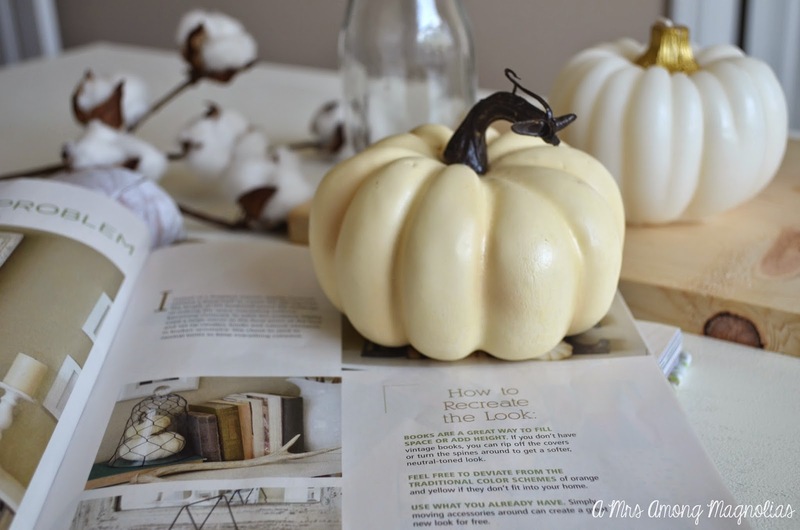 Today, I am going to show you some of my key inspiration that I used for my fall decor! Inspiration is everywhere, you just have to look! Once you find your inspiration, gather some items that you want to use and get to work! If you don't like it the first time, then change it up! Maybe the vase you thought you would like on one table looks better on another table. Move it! It's ok if your first plan isn't your final plan. Think of it as your rough draft, and you are working towards the final draft. 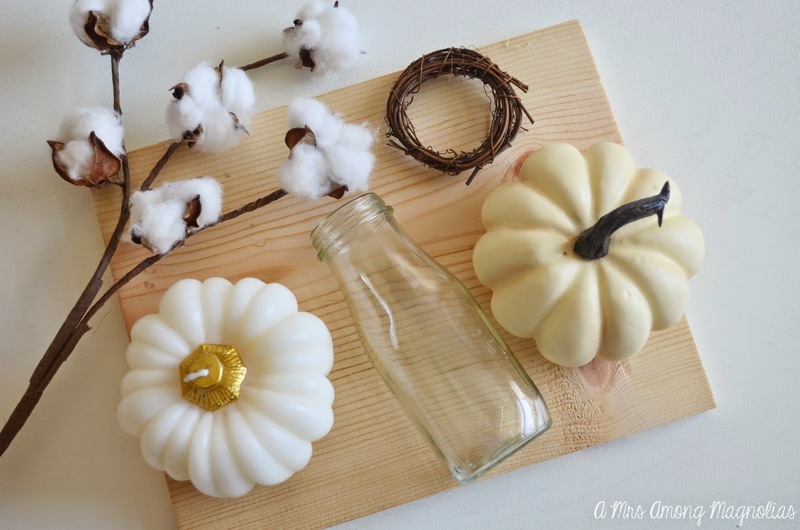 This fall, my main inspiration was white, browns and wood tones. I choose to throw in some small hints of orange, but I wanted to focus more on white and wood tones. In this photo, I love the dark wood contrast with the white table, stairs and accessories. 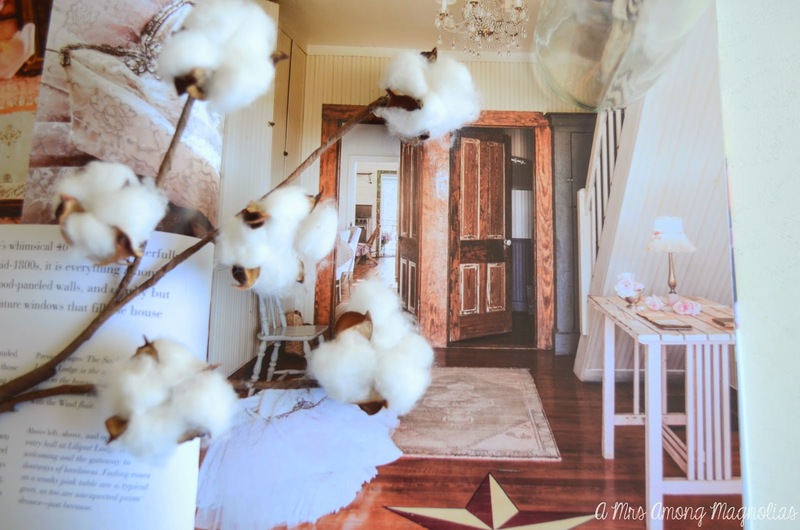 The cotton mimics the white and dark brown contrast, so I tried to implement the cotton in multiple ways in the decor. 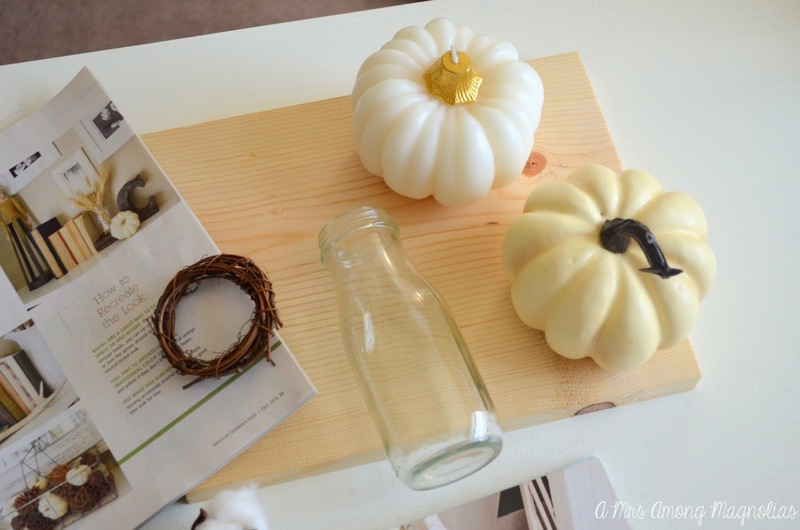 Here I love the use of metal baskets, white, and the contrast between the dark pinecones and white pumpkins and candles. Since we have a huge pine tree in our yard, I got to picking! 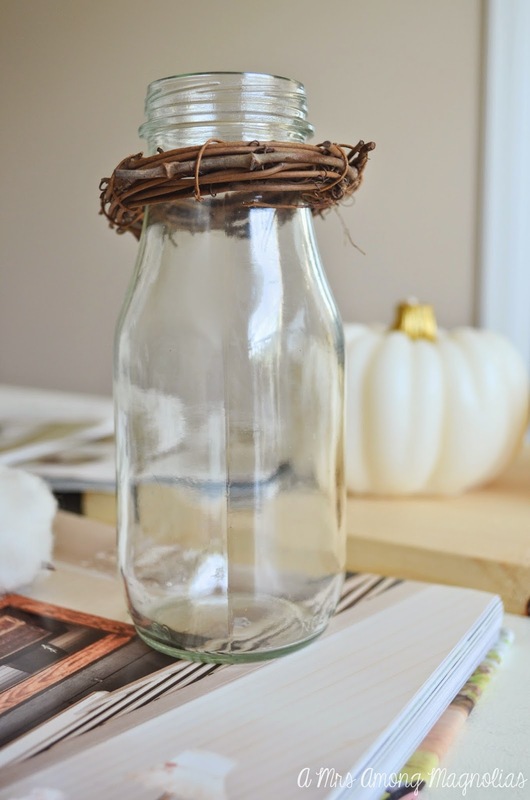 Here are some of the items I gathered to get me started with my decor. I arranged them in different ways, and paired different items together to get the inspiration going! 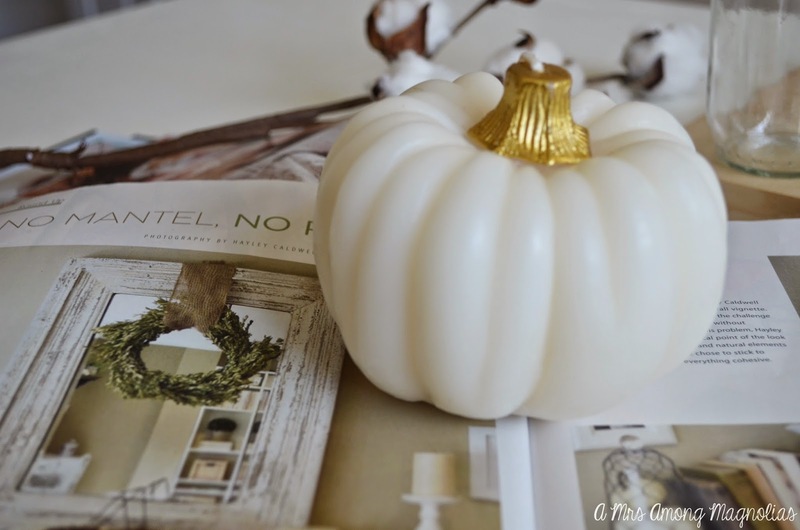 If you haven't already decorated for fall, its not too late! Start getting your inspiration together! Pinterest is one of the quickest and easiest ways to do that. 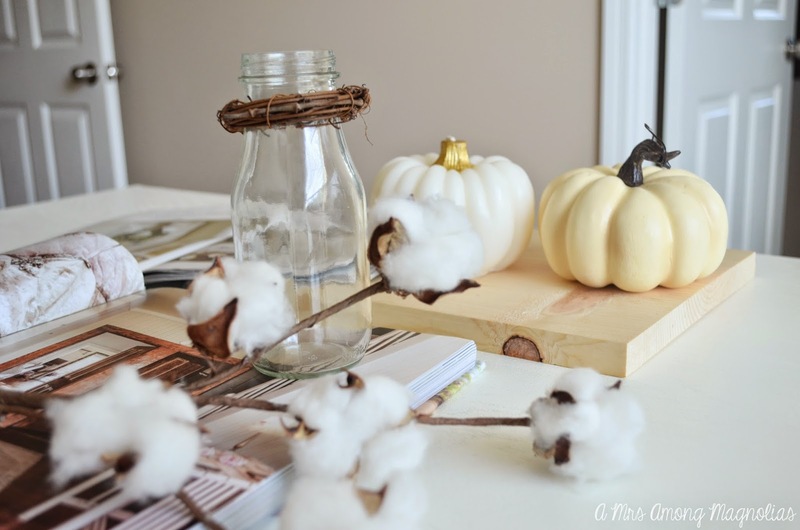 I encourage you to decorate in a way that inspires you wether it be using blue and orange this fall or using brown and white. Whatever speaks to your, go with it! After all, its your home! 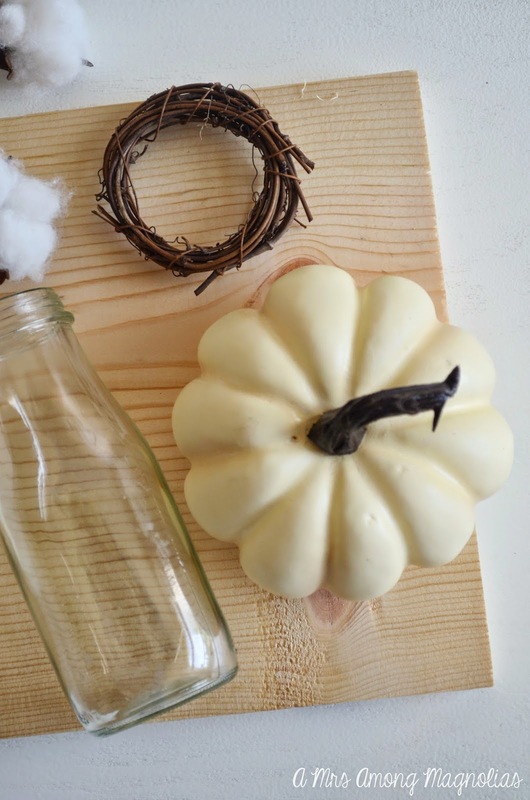 Fall In Love With Home: Loving Your Space. 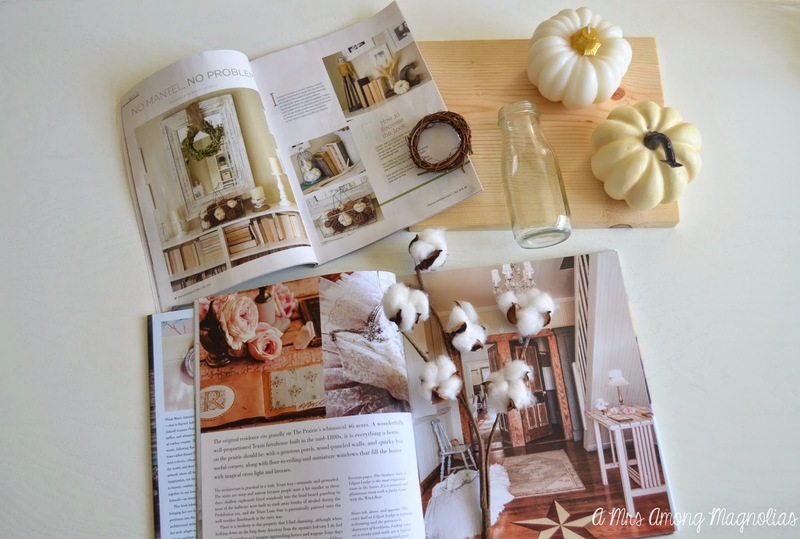 Fall In Love With Home: Introduction. Office Update: Layout Change + Must Haves.